In mid-January, Felsberg Advogados announced Diego Vieira as the new head of its Intellectual Property department. In mid-January, full-service outfit Felsberg Advogados announced the lateral hire of Diego Vieira who joins the firm as the new head of its Intellectual Property department. Mr. Vieira brings with him a rich portfolio of cases involving key domestic and foreign companies from the pharmaceutical, food, retail and fashion sectors. With approximately 20 years of experience in the legal market, Diego Goulart de Oliveira Vieira holds a Bachelor of Laws from Universidade Candido Mendes and two specialization degrees, in Intellectual Property from Pontifícia Universidade Católica do Rio de Janeiro (PUC-Rio) and in Business Administration from Ibmec. Before joining Felsberg as its new head of Intellectual Property, Mr. Vieira practiced at Daniel Legal & IP Strategy for 12 years and at Guerra IP for over seven years, advising domestic and foreign clients on a wide array of matters related to the obtaining, upkeeping and defence of intellectual property rights in Brazil and abroad. 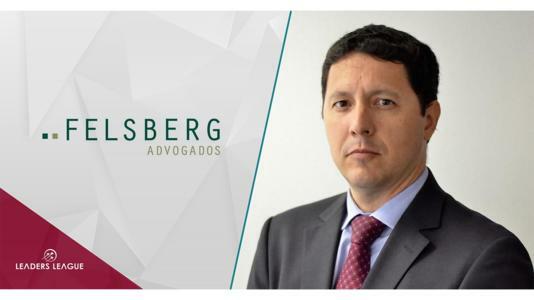 Established over 45 years ago and with offices in Brasília, Rio de Janeiro and São Paulo, Felsberg Advogados remains active in 29 practice areas and is particularly renowned for the quality of its bankruptcy, environmental, compliance and M&A practices, being additionally noted for its expertise providing counsel to startups.